Last Updated: May 25, 2017 | Subscribe to our weekly newsletter! If you’ve been considering buying a variable-speed pool pump, you’ve probably heard it could save you money on energy costs. But maybe you’re still not sure the potential savings are worth the pump’s price tag. You might be surprised to learn switching could qualify you for extra financial perks in addition to lifetime energy savings. Depending on where you live, you may even be legally obligated to make the upgrade. So is this switch going to be painful? We don’t think so. Also known as multi-speed pumps, variable-speed pool pumps are one of three types of pool pumps you can buy. The entry level, least expensive pump is a single-speed pool pump. It operates at full horsepower whenever you turn it on. Dual-speed pumps let you choose low- or high-speed operation. Choose the low setting to save power and money when you’re simply filtering the water. Choose the high speed setting when you’re doing more demanding tasks, such as vacuuming or adding chemicals. Variable-speed pumps let you control the speed, whether low or high, or anywhere in between. Most of these energy-efficient pumps are powered by a different type of motor than the first two, called a permanent magnet motor. This type of motor is used in magnetic resonance imaging (MRI) machines and electric cars. It’s typically more efficient than the induction motors in single- and dual-speed pumps. Some newer variable-speed pumps feature drop-in replacement, making the upgrade simple. Some of them can even be programmed to operate at optimal speeds for certain tasks, such as filtering and running deck jets. They’re also more reliable than the other two types of pumps. Sure, the ability to simply turn down your pump will cut down on energy use, but there’s a little more to it than that. Before you shell out the cash for a fancy new pump, learn how it will put money back in your pocket. Pumps don’t need to run at full power all the time to keep your pool water clean. In fact, when you’re filtering your water, your pump can run at a much lower speed than when it’s doing more demanding jobs, such as running a water feature If you click this link and make a purchase, we earn a commission at no additional cost to you. . 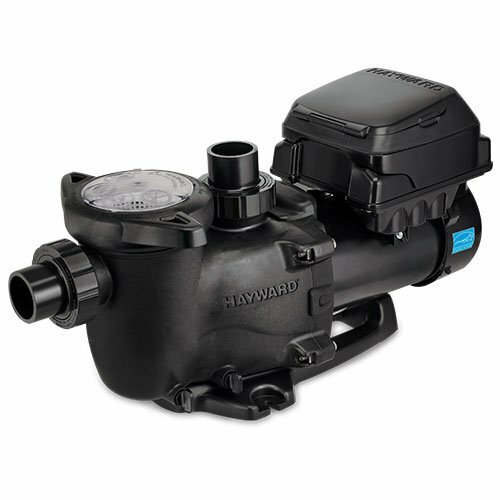 When you choose a variable-speed pool pump If you click this link and make a purchase, we earn a commission at no additional cost to you. , you’ll have a higher up-front cost, but bigger savings over time. Typically, pool owners who switch to variable-speed pumps recover the cost of the pump in energy savings in less than two years. You could save up to 83 percent in annual energy costs (give or take, depending on where you live and other variables) just by upgrading your pool pump. Bonus: If you’re looking to lower your utility costs, dropping in a new pool pump is so much easier than convincing your family to spend less time binge-watching the latest seasons of their favorite shows. We all want to err on the side of caution, but running your pump too often won’t do anything for your pool, and it will cost you. Several factors affect how many hours per day you run your pool pump, including the pump’s horsepower, pool usage, water balance, and the region you live in. By choosing a variable-speed pump, you can run it at lower speeds (although this may mean you need to run it for a longer period of time) during filtering hours, consuming less energy, filtering more effectively, and lowering your costs. Several states have energy efficiency laws regarding pool pumps. These laws are typically created as part of larger energy-efficiency laws, but they’re also part of the building codes that can be enforced and result in fines if violated. Some states let you choose between a variable-speed or dual-speed pump, but if you currently having a single-speed pump, you may be able to keep using it if it’s less than one horsepower. If that single-speed pump fails, you may be able to get away with having it repaired rather than replacing it, but it’s really to your benefit to go ahead and upgrade to a variable-speed or at least a dual-speed pump at that time. Check your state’s energy efficiency laws to make sure your pool pump is in compliance, and to find out whether you need to upgrade. If wading through pages of state legislation isn’t your idea of fun, you can also consult a pool professional. Buying a variable-speed pump may also qualify you for incentives such as utility rebates. Power companies sometimes offer rebates to entice you to reduce your power consumption by using energy-efficient appliances and making smart choices. This enables the utilities to meet their legal obligations to reduce energy use. Tip: Check your local power company’s website for rebate information before you buy a pool pump. You can also find incentive information for your state on the U.S. Department of Energy website. Think of the sound your single-speed pump makes when it kicks on. Has it ever woken you up at night? Well, when you switch to a variable-speed pump, you’ll never again bolt awake in bed wondering if a helicopter just landed in your yard. Single-speed pumps run at 3,450 revolutions per minute (RPM). Variable-speed pumps can run as low as 600 RPM. The lower RPMs significantly reduce motor noise, making the variable-speed pump a far quieter option than that old single-speed. Set your timer If you click this link and make a purchase, we earn a commission at no additional cost to you. to turn the variable-speed pump on at a low setting overnight to turn over your pool water during non-peak power hours. You’ll save money, clean your pool, and avoid a confrontation with grumpy, sleep-deprived neighbors. Some variable-speed pumps have built-in programming features that make them super energy efficient. These pumps allow you to program them so they use just enough power to perform a particular task, such as operating a waterfall. With these automation options, you don’t have to remember to switch speeds yourself. The pump does it for you automatically. It’s pretty simple to program, too. If you can set your pool timer If you click this link and make a purchase, we earn a commission at no additional cost to you. , you can automate your pool pump. By now, you should be ready to kick that old single-speed pump to the curb, and make the investment in long-term savings with a variable-speed pump. But how do you pick the right size pump for your pool? Now that you know how to choose the correct size pump, you must keep a few other details in mind to choose the best pump for your pool. Your filter is built to withstand a certain volume of water flowing through it. Check your filter’s flow rating to determine the maximum horsepower acceptable for your setup. You’ll run into problems if the PVC used to plumb your pool is too small in circumference to handle your pump’s horsepower. Older pools typically used 1.5-inch diameter pipes, which are not large enough to handle water flow from a high-horsepower pump. Those with 2.5-inch or 3-inch pipes may choose a pump with more than one horsepower. More isn’t always better. Even if your pipes could handle a three-horsepower pump, you may not need it. Choosing one that’s too high is a waste of power and money. If you’re in between two sizes, choose the one with more horsepower. Pool pumps are available in either 115-volt or 230-volt models. 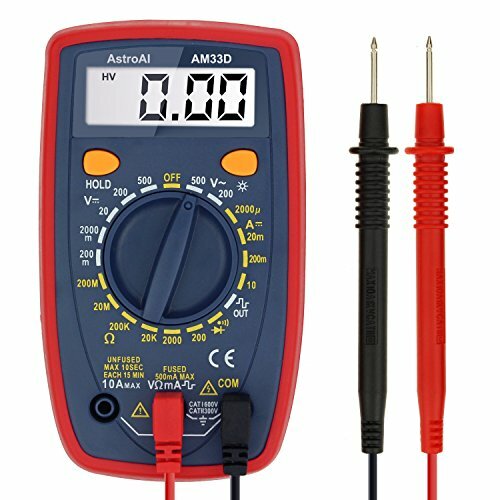 You can use a multimeter If you click this link and make a purchase, we earn a commission at no additional cost to you. to check the voltage coming to your existing pump. 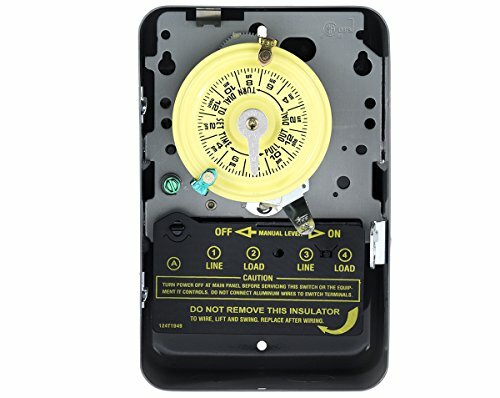 The output terminals on your pump timer are an easy place to use the multimeter. 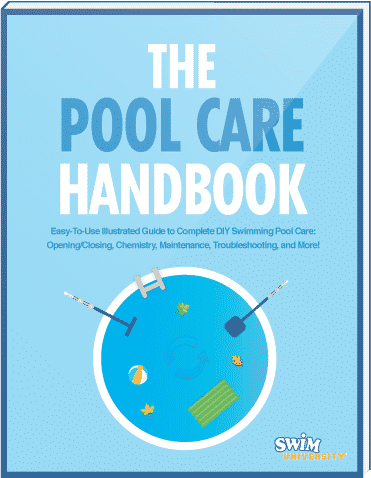 If you’re not comfortable using a multimeter or working with electricity, ask a pool pro to help you. The mount you need depends on your setup. Water is pumped into the filter, so the location of the filter will determine whether you need a side- or top-mount pump. If you’re building fresh or moving everything around, side mounts may offer easier access. Bearing in mind its four key benefits—energy savings, better filtration, quieter operation, and higher reliability—a variable-speed pump may be one of the best investments you ever make in your pool.